The information presented on this page was originally released on January 20, 2005. It may not be outdated, but please search our site for more current information. If you plan to quote or reference this information in a publication, please check with the Extension specialist or author before proceeding. Blame it on last fall's warm weather, but I procrastinated and simply did not plant cool season flowers. My pentas, Joseph's coats and Mexican heather looked good almost until Christmas. Perhaps you, too, had salvias, lantanas, verbenas or some other perennials that will return next spring but now look a little like tumbleweeds in the soil. We can correct this color deficiency fairly quickly. As soon as possible, get out and cut the frozen perennials back to almost ground level and remove the annuals. Cover the plants with an added layer of mulch for winter protection and to make the bed more attractive. It doesn't really make much difference which mulch you choose. When I had 28 pine trees in the yard, I chose pine straw. This year I am using the red dyed mulch. The bed definitely looks better once the frozen perennials are cut back and mulch is added. On the other hand, if you want to plant more color, you need to do so before adding the layer of mulch. Many garden centers are getting in fresh pansies in 4-inch, 6-inch and even 8-inch sizes. You'll also find flowering kale and cabbage. These can be planted in areas where the lantana branches had covered. I like the larger-size containers because they have a larger root system and the landscape impact is quicker. They also are tough in the face of the next cold front. Another good choice is the dianthus. These are tough, cold-tolerant plants that will endure our summer heat and humidity with good soil preparation and a layer of mulch. In recent years, several have been recognized as exceptionally good performers in trials in Mississippi, Louisiana, Georgia and Florida. These delightful plants give outstanding color in red, pink, white and every blend of the three. In addition to their cheerful colors, they also have an enticing fragrance. The Dianthus chinensis, though great for cool season, didn't have the new toughness identified in the hybrid known as Dianthus chinensis x barbatus. This group is represented by plants like the Telestar series that was chosen as a Louisiana Select award winner, and the Ideal series that has proven the best in University of Georgia trials. Ideal Carmine and Ideal Rose were chosen as Flueroselect Quality Mark winners, and Ideal Violet was an All-America Selections award winner. The Melody series offers several choices, and the Melody Pink was chosen as an All-America Selections winner. Those known as Dianthus barbatus interspecific hybrids are also exceptionally tough. 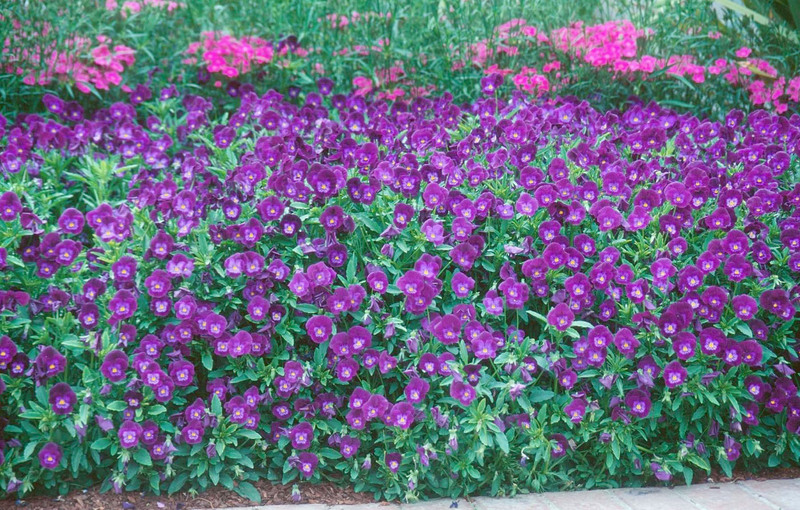 Bouquet Purple dianthus was chosen as a Mississippi Medallion award winner and the Minnesota Select Perennial Plant of the Year. Last week while buying my pansies, I also noticed that the garden center had very high quality snapdragons. Though normally planted in the fall at the same time as pansies, they also are well suited to planting from now through the end of February. Snapdragons are hardier than many realize. Once they are established in the bed and hardened off, they can easily withstand sub-freezing temperatures. 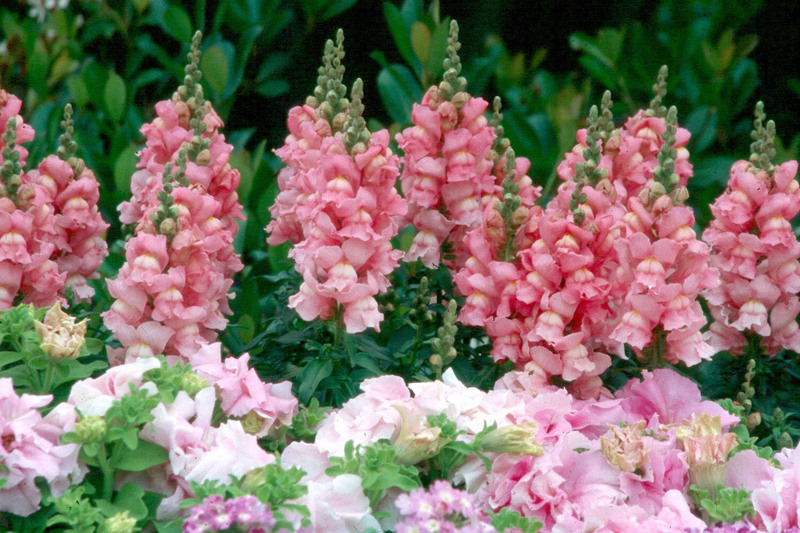 Snapdragons can be completely covered with a layer of pine straw during a long period of extremely cold weather. It's the bright colors that make snapdragons so fun to grow. Whether you choose red, yellow, pink, burgundy, bronze, orange, white or those that are two-toned, there is sure to be a color to suit you. For the most effective landscape display, mass plant beds in single colors. Don't forget that as these fragrant spikes get larger, they also are good for cut flowers. Sonnet and Liberty varieties, which reach about 18 to 24 inches tall, are great. Also look for two new series, Crown and Solstice, that are in the same height range. Although I procrastinated, I did plant pansies, dianthus and dusty miller last week. Now I just need a couple more to finish out. If your beds look a little like West Texas, I hope you'll follow suit. After all, we still can have months of great color.